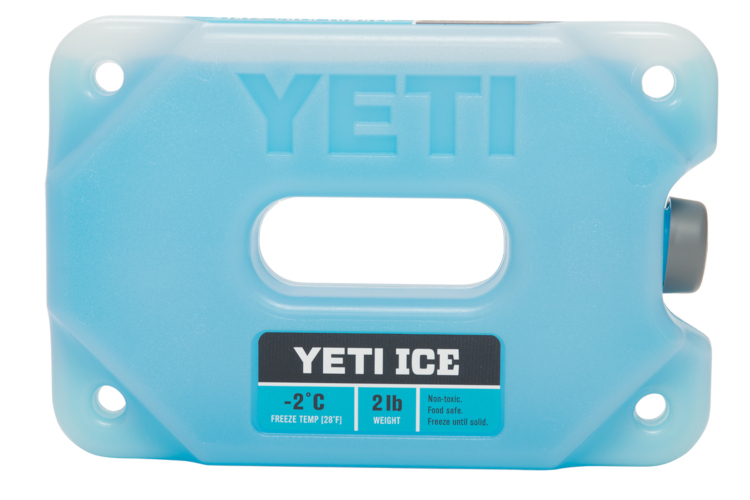 Again YETI turns to science to provide cold retention for your cooler. From custom shapes to durability to chilling temperatures, YETI has developed a tough product that will preserve your perishables, yet never break from any abuse that might come its way (remember the grizzly!) Always tough and ridiculously cold. 2 lb: 8" x 5 3/8" x 1 5/8"
4 lb: 10 3/4" x 8" x 1 5/8"
Works great as a supplement to regular ice. Chills ice and contents faster and helps keep your ice cold longer. Designed to withstand the toughest of bumps, tumbles, and thuds. Custom shape helps it freeze faster so it can be used day in, day out. No puddles to drain, just toss it back in your freezer.